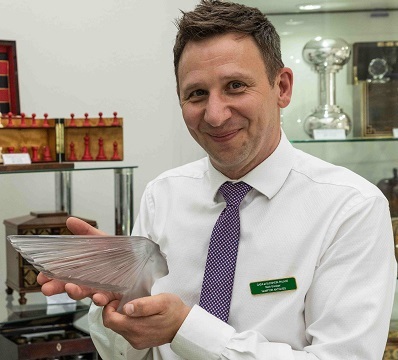 Mark Goodger runs Hampton Antiques, specialising in antiques and accessories, ranging from rare 18th-century tea caddies to iconic 20th-century decanters. A member of CADA, he is celebrating his 20th anniversary in the business this year. 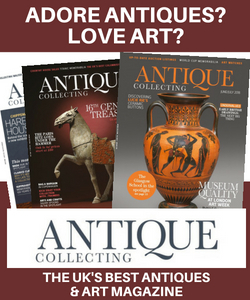 How did you become an antiques dealer? 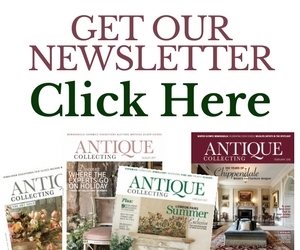 It was a chance meeting that led me to become an antiques dealer. I was extremely fortunate to be offered an old-fashioned apprenticeship with Adrian Hornsey to become an antique furniture restorer, learning antique restoration whilst also going to college. Unfortunately, after a year I was a victim to the recession in the late 1980s and was made redundant. Whilst looking for a job, I had made a box for my then girlfriend, Sara, and was looking for a traditional lining to complete it, when I stumbled into a local antique shop in the village. The owner, Simon Kunzer, was impressed with the craftsmanship and offered me a job on the spot. Simon was one of the biggest names in antique boxes at the time and had been in the business for at least 25 years. I learned the trade with Simon and took over his customer base when he retired. Sara and I established our business in November 1998 and our first sale on a cold, dark, Saturday morning was from a tiny stall on the Portobello Road in London. I enjoyed woodwork and was always interested in history. We lived on a farm in Buckinghamshire as my father was a farmer; after the summer harvesting he would plough the fields and often come home with old pottery and coins from Roman remains, so my interest in old things started at quite an early age. Were you good at making things as a child? I always enjoyed trying to make things, such as rickety tree houses, karts and rafts for sailing on the River Ouse. What are your top tips for someone wanting to start collecting? Do your homework and buy the best you can afford. Exhibitions are great places to meet dealers where you can seek good advice about collecting and what to collect. I’m currently reading a book called ‘Ready Player One’ which is a science fiction novel. Not my normal read, but am absolutely loving it. It takes me back to the days of early computer games on the ZX spectrum and classic arcade games such as Pac-Man and Space Invaders. Three words to describe you: Mr. Nice Guy, passionate, caring. Unlikely passion that consumes you? Football is a big passion of mine as I was destined to play professionally but that’s another story. I love playing golf when I have time, classic and vintage car shows, especially the ones at Silverstone and Blenheim Palace. We have produced a special catalogue to celebrate our 20 years in the business. 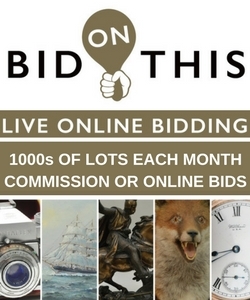 It’s packed with some of the rarest antique boxes and accessories we have to date. We commissioned specialists in their field, some of them museum curators, to write features on antique boxes and decorative objects for the catalogue, which is a wonderful resource for the collector.